Data Manipulation Commands are used for managing the data within the database objects. These commands are not auto commit unlike DDL commands. SELECT Statement is used to retrieve data from the database objects. Note : SELECT does not performs any manipulation operation on the data , then why it is categorized as DML Command ?? 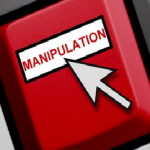 Although SELECT does not perform any manipulation operation , but it is widely used before and after other manipulation commands like insert , update , delete. Hence it is classified as DML command. To view any particular column ( suppose col3) as first column. Insert Statement is used to insert data into the database. It is mandatory to provide values for all the columns in the table. The values should be in the same order as the columns of the table. The datatype of the values should be same as that of the column. The string values should be given in single quotes. It is mandatory to provide values in primary key column other then the desired columns in the syntax. For the remaining columns for whom value is not defined , null is inserted except primary key column. This command is used to modify the data of the database. In above syntax WHERE clause is optional. If it is given , then specific rows meeting the criteria updated , else entire table gets updated. The string values should be given in single quotes. In above syntax WHERE clause is optional .If it is given , then specific rows meeting the criteria updated , else entire table gets updated. The string values should be given in single quotes. This command is used to delete data from table. In above syntax WHERE clause is optional .If it is given , then specific rows meeting the criteria are deleted , else entire table data gets deleted. The string values should be given in single quotes.